Teachers need to remember that playing games is NOT a waste of time! 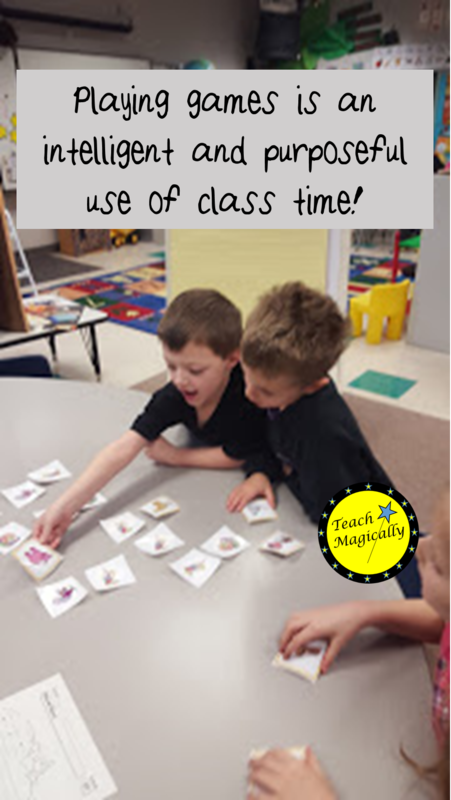 It is an intelligent and purposeful use of class time! 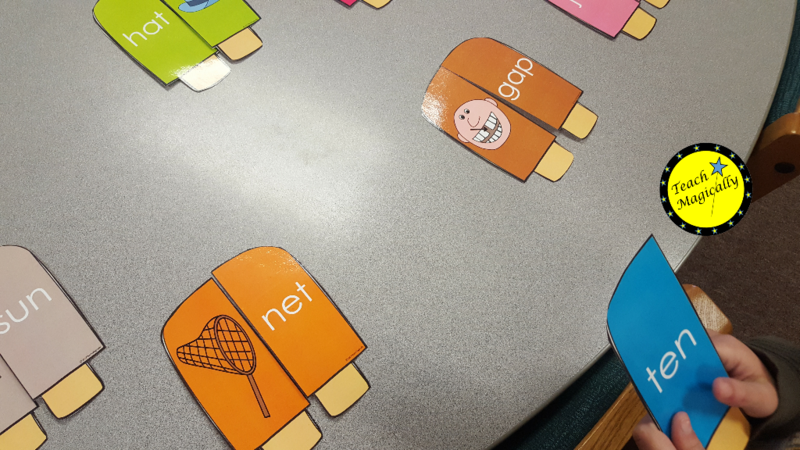 I can tell you so many things about a student's working memory, attention, and inhibitory control along with reading words in Popsicle Match! 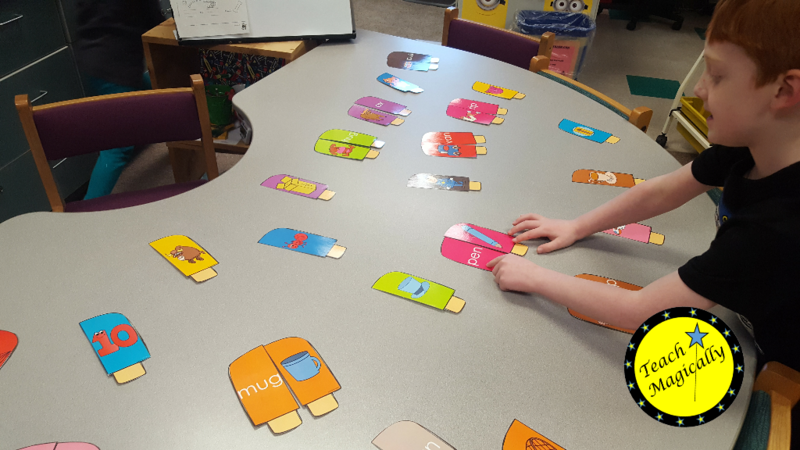 Match the Popsicle game told me so much about each student as a reader and as a learner that controls executive function! Check out a math game we use to work on these skills at Color the Jelly Bean Game. How do we play this fun game and practice attention skills, self control, and developing working memory? 1. Lay out the picture cards on a table. 2. 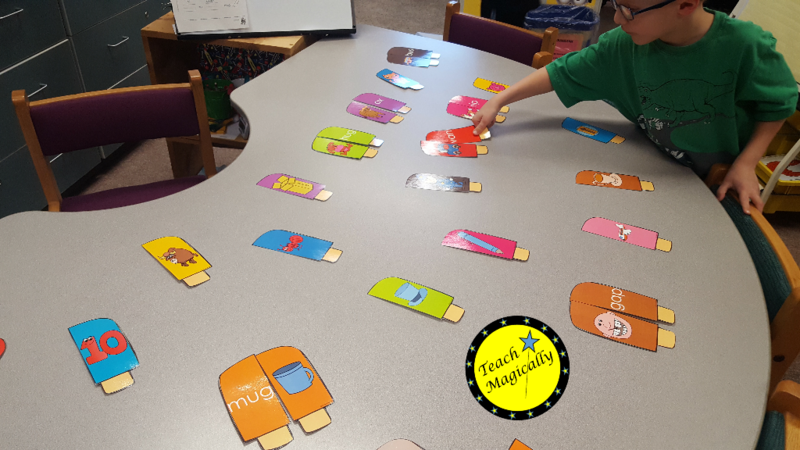 Choose a CvC word card, stretch sounds, then blend together to make a word. 3. Hop around the table to find the match. 4. Walk back to the line. Waiting patiently is a difficult skill to practice. We practice belly breathing and self talk to calm down. Students say, "I can keep my hands and feet still. I can watch for my turn." Students then must do a quiet activity. We always tell what we are going to do before the game begins then reflect on what we did at the end; it is so important not to skip reflection time! Check out this fun video that shows how to blend the words, but the student reactions are even better! What fun games do you like to play in class?